Planet earth's geological history is fascinating. Within this history, Diamonds are earth’s oldest preserved minerals and have captured human imagination unlike any other mineral. Diamonds are geological masterpieces, forged by nature, billions of years ago. Until 1725, India was the world's only source of diamonds, followed by discovery of diamond mines in Brazil. Countless diamond discoveries were made, mostly alluvial, till diamond mining became a preferred method of recovering diamonds. Discovered gem-quality rough diamonds are cut, polished and are then set in your dazzling piece of jewelry. Diamond discoveries are what diamond dreams are made of! Did you ever wonder what are some of the most famous and largest gem-quality diamonds ever discovered on planet earth? Take a look! (As of April 2018). Here's a closer look at the statistics and images of these historical and legendary diamonds. 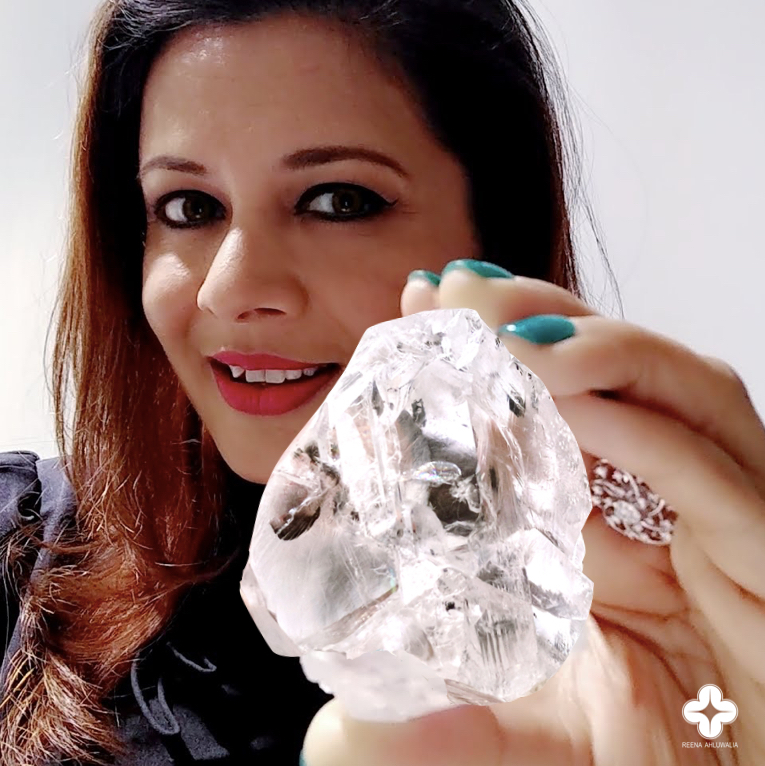 Full article on CULLINAN DIAMOND by Reena Ahluwalia. Recommended read: Historical and gemmological analysis of Cullinan I & II by Russell Shor and Kenneth Scarratt. 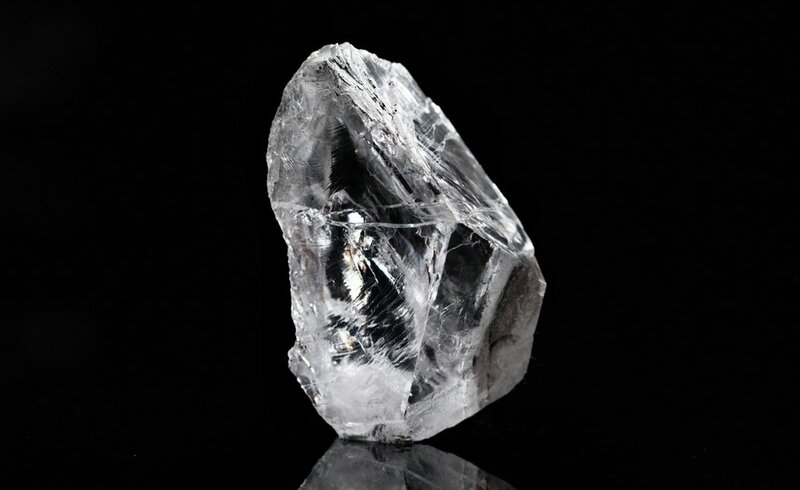 The Lesedi La Rona is a Type IIA diamond. Type IIa diamonds are the most valued and the purest type of diamonds. They contain either very little or no nitrogen atoms in the crystal structure. White stones are exceptionally colorless and fancy colored diamonds are often found with a brown, purple, blue, or pink tone. They represent only 1% - 2% of all mined diamonds in the world. Learn about TYPE IIA DIAMONDS. The 69.68 ct Excelsior I, set in a diamond bracelet, is the largest of eleven stones cut from a 995.20 ct rough diamond found June 30, 1893, in the Jagersfontein mine, South Africa. Photo: Harold & Erica Van Pelt/GIA. Courtesy: Mouawad Jewelers, New York. Mine of origin: Letšeng mine / Gem Diamond Ltd.
VIDEO: LESOTHO LEGEND - the fifth largest diamond in the world. The $40 million diamond is 910-carats from the Letšeng mine. Other noteble diamonds of Letšeng mine include the Lesotho Promise (603 carats), Letšeng Star (550 carats) and Lesotho Legacy (493 carats). Owner: Mouawad. In 2013, the 637-ct. L’Incomparable diamond necklace (set with Incomparable diamond) was named the world’s most expensive necklace by Guinness World Records, with a valuation of $55 million. Video: 2013 Guinness World Record winner for the most expensive necklace ever created. The artisans at Mouawad crafted this diamond necklace and gave the famous 'Incomparable Diamond' a permanent throne. Owner: Nemesis International DMCC purchased the diamond in $63.1 million. In 2016, Geneva-based De Grisogono purchased the rights to market Constellation diamond at the launch of the 28th Biennale des Antiquaires in Paris. 2016 - Swiss jewellery maker Grisogono displayed the $63-million, 813-carat 'Constellation diamond' at the Paris exhibition. Left, the Koh-i-Noor made an appearance during the coronation of King George VI worn by his wife, Elizabeth. May 12, 1937. Today, the Koh-i-Noor sits in the crown of the Queen Mother, as part of the front cross. It last made a public appearance in April 2002, when the crown was placed on top of the Queen Mother’s coffin at her funeral. Image: Corbis via Getty Images. The Millennium Star diamond was first displayed as the centerpiece of the De Beers Millennium diamond collection at Louvre in Paris. I was fortunate to hold the diamond, I was at Louvre receiving my 'De Beers Diamonds International Award' in design excellence. 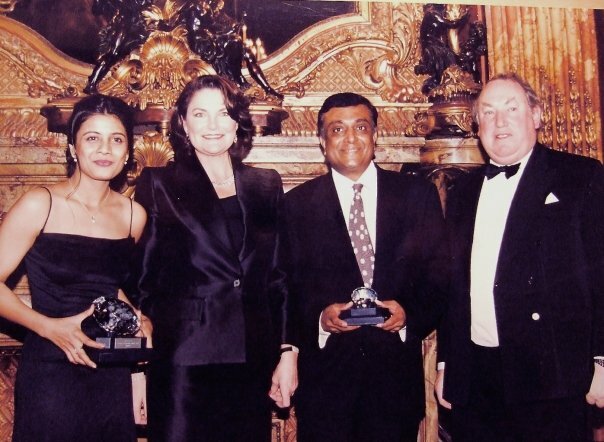 Image: L to R: Designer Reena Ahluwalia receiving the 'De Beers Diamonds International Award', Antoinette Oppenheimer, Ketan Parikh (representing Mehendra Brothers Group at the awards, now with Ketan Brothers Diamondz Exports), Anthony Oppenheimer, De Beers Group. Louvre, Paris. 2000. And, now skipping to number 15. The Peace Diamond is the 15th largest diamond in the world. Since I had the pleasure to see it in person, I want to share it with you. The Peace Diamond is the 15th largest diamond in the world. At 709-carat it was discovered in Kono region of Sierra Leone, the rough is 2.5 inches wide and 1 inch deep. In spite of offers to smuggle it, village leader Pastor Emanuel Momoh insisted that the diamond be sold through official government channels so that the financial benefits of this diamond would be properly shared with his village, district and the poverty stricken people of Sierra Leone. 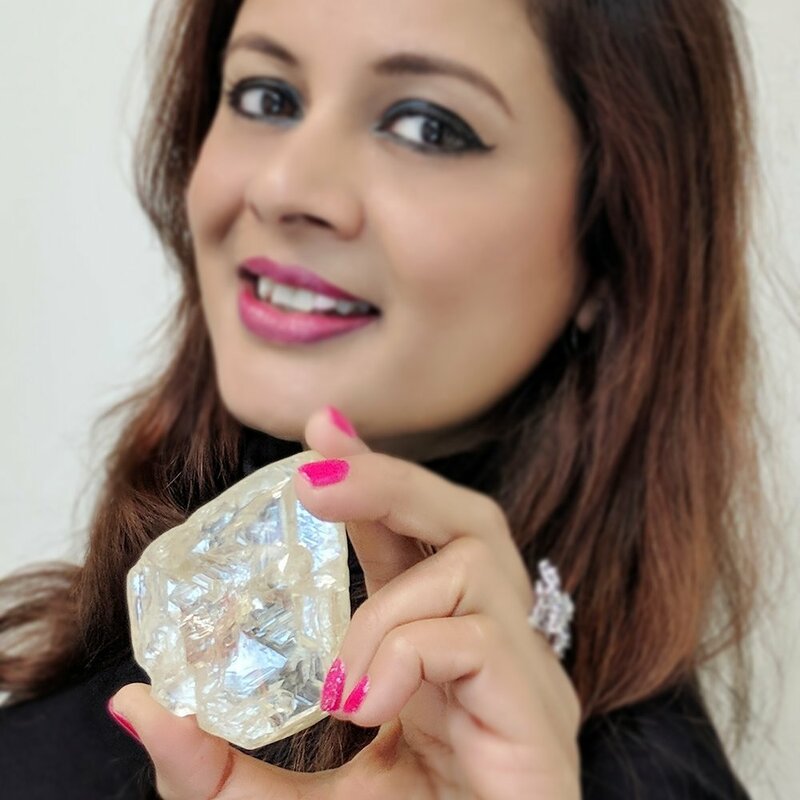 The Peace Diamond was sold to House of Graff on Dec 4, 2017. 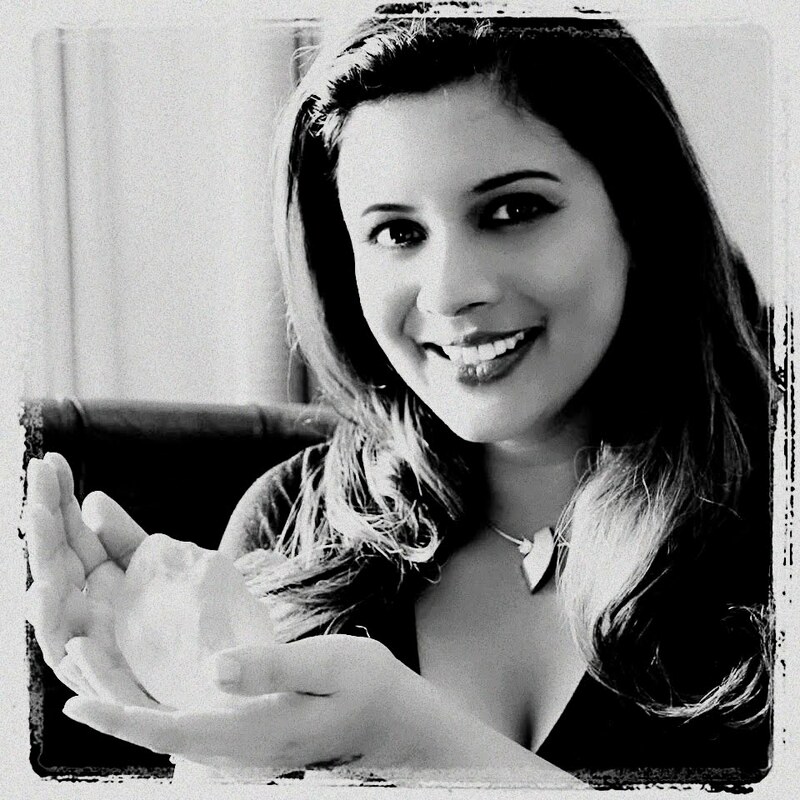 Image: Reena Ahluwalia holding the Peace Diamond at Rapaport New York.